Indexed in: Book Citation Index, Science (BKCI-S), Web of Science, BIOSIS Previews, Scopus, Chemical Abstracts, EBSCO. One hundred years ago, 1911, Peyton Rous discovered a “filterable agent”, Rous Sarcoma Virus, to be the cause of wing-web tumors in chickens on a local farm in New York State. That viruses could cause cancer was unaccepted by the scientific establishment, largely because the epidemiology of cancer was inconsistent with that of known viruses, such as influenza. It was not until the mid 1930’s, when Richard Shope demonstrated that the warts on the plantar surface of rabbit feet were caused by a virus, and together with Peyton Rous, demonstrated that the papilloma virus could also induce malignant tumors, that there was an initial acceptance of a virus etiology of cancer. There ensued a global hunt for viruses that cause cancer in mammals, a quest that has been largely unsuccessful. There remains the biological puzzle: why would viruses cause leukemias and sarcomas in chickens, but not in humans? Fifty years after its discovery, Howard Temin reported another characteristic of Rous Sarcoma Virus that would rock the scientific community: its replication required an enzymatic step that made a DNA copy of its RNA genome. The concept of DNA to RNA to Protein as a “central dogma of biology” had been widely accepted, and the notion that information could flow from RNA to DNA was unaccepted by the scientific establishment, and not in keeping with Mendelian genetics. Like Peyton Rous, Howard Temin’s work was discredited and difficult to get published. This one avian virus had rocked several basic tenets of biomedicine: that cancer could be caused by an infectious agent, that information could flow in both directions between DNA and RNA, that there were major species-specific differences in disease causation, and, finally, that the oncogenic nature of the virus was due to its incorporation and slight mutation of a normal gene, Src, encoding a protein kinase important to cell division. In 1971, sixty years after the discovery of the virus, Temin hypothesized that information flow from messenger RNA to DNA provided a mechanism for short-term amplification of gene sequences, perhaps fundamentally important to embryonic development; this hypothesis remains largely untested. The same year, Ben Brackett, in the laboratory of Hilary Kiprowski, demonstrated the uptake of Simian Virus 40 DNA into rabbit sperm heads, and the delivery to rabbit ova at fertilization. In 1989, apparently unaware of the 1971 report by Brackett, Spadafora and colleagues described the uptake of exogenous DNA by mouse sperm, and the generation of transgenic pups; and Arezzo reported DNA uptake by three species of sea urchins and the generation of transgenic sea urchin embryos expressing the reporter gene contained in the exogenous DNA. At least two large U.S. laboratories rushed to repeat the mouse work in an effort to more easily create transgenic mice, but because their efforts were unsuccessful and widely reported, the scientific community did not embrace this new phenomenon of “sperm mediated gene transfer,” SMGT. Now, however, forty years after the original observation in rabbit ova, SMGT has become an increasingly important tool, as reported in this eBook, whose chapters are rich with new, species-specific approaches to SMGT, and new animal husbandry and biomedical applications. And to add to the consternation of the scientific community, there is now ample evidence for an endogenous reverse transcriptase in sperm that plays a fundamentally important role in SMGT, including genetic information reverse transcribed from exogenous RNAs taken up by sperm, “sperm mediated reverse gene transfer,” SMRGT. The problem for the scientific establishment is “What does this mean?” Is there another form of inheritance, distinct from Mendelian genetics? There is evidence to support this notion. And was Temin correct, that reverse transcription plays a fundamentally important role in early embryonic development, perhaps beginning with fertilization? There is also mounting evidence to support this notion. Could an individual’s disease propensity be established at fertilization by exogenous RNAs or DNAs encountered by the sperm in its journey to the egg? What would be the advantage to an organism incorporating exogenous RNA or DNA, perhaps pathogenic, into a fertilized egg? Although HIV appears to be a new human pathogen, it is now clear that human cells have an innate defense against reverse transcription, the APOBEC3G family of cytidine deaminases. Hence, robust defense mechanisms to protect the integrity of the genome itself are probably operational, especially in the egg, throughout nature. But replicating extra-chromosomal RNAs and DNAs may also be a routine cell function, challenging again the central dogma of DNA to RNA to protein. 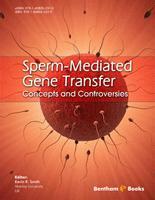 Sperm Mediated Gene Transfer: Concepts and Controversies includes essential background information for newcomers to the field, summarizes the work accomplished, and heralds the work to be done -- to begin to understand and fully employ the transfer of exogenous genetic information at fertilization. Peyton Rous and Howard Temin would be fascinated by the following chapters. As a young researcher in an established transgenic laboratory at Edinburgh University in 1989, I was struck by the effects of the publication in the journal Cell of a paper reporting that mammalian sperm could readily act as vectors for foreign DNA. Almost overnight, attention in our laboratory switched from established methods of transgenesis towards this exciting new prospect, and immediate efforts were made to replicate the Cell work. The talk at the time was that all the paraphernalia, training and expense of pronuclear microinjection (the standard approach) would be rendered redundant by this disruptive new technology, known as sperm-mediated gene transfer (SMGT). In the event, the original Cell work could not be replicated, either in our laboratory or in a number of laboratories worldwide that were similarly attempting to make SMGT work. This failure was experienced by many in the field of animal transgenesis as something of a body-blow. Researchers were genuinely very disappointed that SMGT manifestly did not deliver on its initial promise. A backlash followed, with a substantial amount of skepicism being directed towards both the Cell paper and also towards the fundamental biological notion that sperm could ever be expected to be able to act as transgene vectors. Almost as rapidly as interest in SMGT had exloded, most researchers abandoned their efforts towards getting sperm to carry foreign DNA. Nevertheless, a small, disparate array of transgenic scientists continued to work with sperm in the context of SMGT, either in the hope of establishing SMGT as a viable method for producing transgenic animals, or to address fundamental questions concerning interactions between sperm and exogenous nucleic acid molecules and the parameters influencing such activity. The outcome from such work has been as varied as the research purposes involved. Since the late 1980s, several significant papers describing sperm-DNA interactions have been published. For example, we are now much more knowledgeable about the fate of nucleic acids taken up by sperm; it has become clear that certain forms of augmentation, for instance the combination of DNA incubation with intracytoplasmic sperm injection (ICSI), permits a reliably high level of exogene uptake; and transgenic animal generation has been reported via highly novel forms of SMGT, including in vivo transgene injections into the male reproductive tract and the use of nanotechnology to deliver transgenes into sperm. Yet many unanswered questions remain, and certain tensions exist within the body of empirical data and theory associated with SMGT. To what extent may horizontal (sperm-mediated) gene transfer occur in nature? To what extent do the models proposed to describe exogene uptake & integration reflect reality, and to what extent may such mechanisms generalise to all animals? Why have a few groups continued to report extremely impressive results for the generation of transgenic animals using the original unaugmented ('autouptake') SMGT methodology, where such results could not be replicated by other groups? And how do such positive reports fit with current theory (itself based on empirical research) that suggests sperm are unlikely to permanently harbour integrated transgenes following autouptake? While such questions and controversies have yet to be fully answered or resolved, it can be stated with confidence that continued research in the context of SMGT has, at the very least, significantly expanded our understanding of sperm cellular and molecular biology. In addition, ongoing research into SMGT has kept alive the tantalising possibility that sperm have the potential to be routinely used for important genetic modification applications, including the generation of transgenic disease models, improved agricultural strains, transgenic bioreactors, xenotransplantation technology and perhaps even human gene therapy. The contributors to this book elucidate a broad range of theoretical and empirical aspects of SMGT. The overall result is the construction of an intriguing picture of the diversity of potential applications and implications arising from the possible use of sperm as genetic vectors. A wide array of animal types is covered, ranging from invertebrates to large farm animals, and the range of SMGT augmentation methods described is similarly extensive. And the aforementioned controversial aspects of SMGT are evident in these writings. This book, with its expert contributions, should allow the reader an unparalleled depth of insight into the concepts and controversies of SMGT. It remains to be seen whether the SMGT revolution promised by the publication of the 1989 Cell paper will ever materialise. But the reader will be left in no doubt as to the importance of SMGT to modern bioscience.